A People's Democratic Party official Fortune Mlalazi has savaged ZimPF national Coordinator Dzikamai Mavhaire for poaching his party's Vice President Samuel Sipepa Nkomo at a time when the two parties were negotiating over a coalition ahead of the 2018 elections. Mlalazi said there are now exciting times in Zimbabwe's opposition politics ahead of 2018. "For all intents and purposes it appears that the PDP - ZimPF marriage is irretrievably broken down, thanks to the amorous tendencies of one Dzikamai Mavhaire who fatally seduced one Sam Nkomo whose insatiable appetite for political leftovers is legendary," he said. "Many questions linger obdurately in the minds of many. Will the party pick itself up and surge forward or pack up and head back to Tsvangirai from whence it came? Many believe the former. They believe that PDP will regenerate itself in the absence of geriatrics and repackage itself as a force to reckon with." Mlalazi said they claim that that the Tendai Biti led formation has washed itself of the filth donated to it by its planned marriage with ZimPF. "Only a few months ago Moses Mzila and his Group of 60 former MDC Green cadres (G-60) wanted to work with PDP but were repulsed by the party's unholy flurtation with Joice Mujuru and her blood-dripping former Zanu-PF thugs. So horrified were Mzila's G-60 with PDP's romantic judgments that they winced at the smell of gukurahundist blood and at the dirty and sticky hands of the US$15 billion Chiadzwa kleptomaniacs masquarading as democratics" he said. "Now that PDP has found right detergent to wash itself will Mzila and company now consider re-engaging the jilted but cleaner PDP as their natural allies? The PDP spin-doctors will tell you that the storm is over albeit leaving the party bruised and shaken. Indeed where have you ever heard of a party Vice President defecting to another party? Even James Chikerema didn't defect from Zapu in 1972 when he had his differences with Jason Moyo; he formed his party, Frolizi, and Nathan Shamuyarira teamed up with him." Mlalazi said this Sipepa fellow must be really funny. 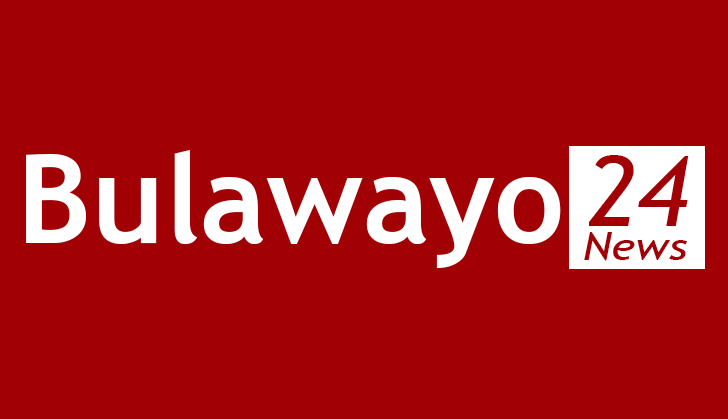 'However, judging by the massive turnout for the party's Bulawayo Provincial Assembly last Saturday it does seem that Sipepa's departure did not hurt the party in a serious way. But then this writer has it on good record that Sipepa and Gang boarded a sinking Titanic," he said. "We are yet to see what damage the departure of Rugare Gumbo, Basikiti, Jabulani Sibanda, Silvester Nguni, Ray Kaukonde, Mungofa, General Banda, Margaret Dongo as well the imminent expulsion of Dzikamai Mavhaire will have on the survival of ZimPF. There is no joy in the destination party either. No redeeming attributes for the Zanu PF mutant. Who said the PDP, ZimPF and MDC Green are the only parties in trouble? Apparently there is no peace and tranquility among all major opposition parties in Zimbabwe." "What with the fast approaching expulsion of Thokozani Khupe, Abednicho Bhebhe, Douglas Mwonzora and Terressa Makoni by the insecure new VP Nelson Chamisa from the not so big Tent. But there is CODE phela. Didn't "9 Lives" Welshman Ncube clinch a "wonder deal" with Simba Makoni and Elton Mangoma? It remains to be seen whether the failure of CODE to consumate the marriage since its low key commencement some time at the beginning of the year will not force the signatories to disolve the disfunctional union in favour of a more promising alliance with a humbler but regenerated PDP as the best way forward. And ZAPU?" Mlalazi said Dumiso Dabengwa is rumoured to be a fierce believer in the PDP doctrine of a National Transitional Authority (NTA). He said perhaps this is the time for the Black Russian to join hands with the initiators of NTA and push for its realisation. "The goddess of political "stars" tells me that all these people and formations will see the humbled but cleaner PDP as their natural ally and Tendai Biti as their presidential candidate for 2018. This could just be Zimbabwe's moment of truth; a time for the reconfiguration of political dynamics in the country," he said.